Family entertainment at the heart of Historic Philadelphia, steps from the Liberty Bell. Take a ride on the Parx Liberty Carousel. Putt around the city on the areaÆs most unique attraction-a Philadelphia-themed miniature golf course. Let the kids play at two state-of-the-art playgrounds! Franklin Square Pavilion is the premier location for cocktail events, corporate picnics, rehearsal dinners, baby showers, children's birthday parties and wedding showers! 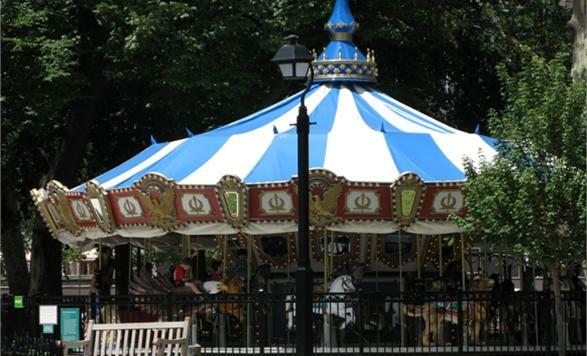 The Pavilion in Franklin Square, an all-season, climate-controlled building, is nestled between the Parx Liberty Carousel and Philly Mini Golf course - great for a party any time of year!